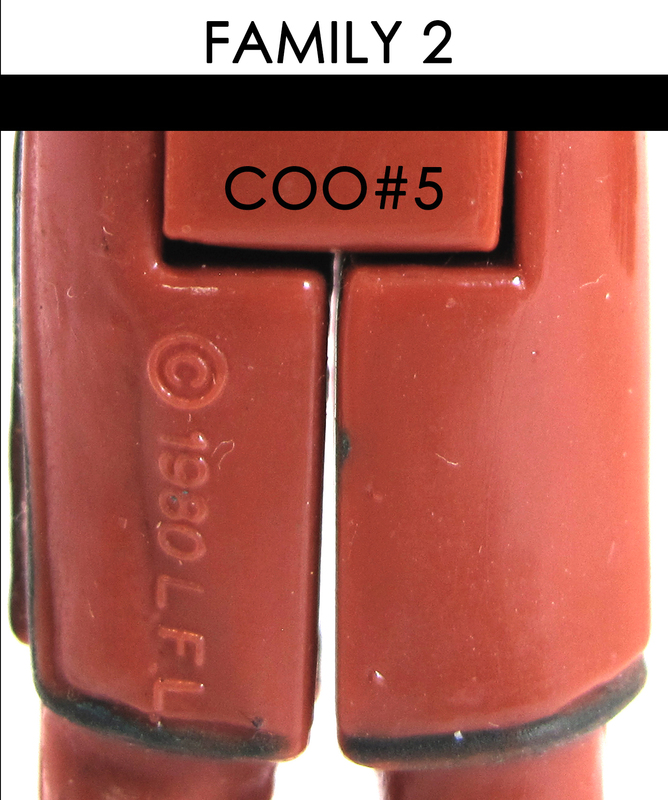 Here is a single image of what we are calling COO#5. It is part of Family #2. 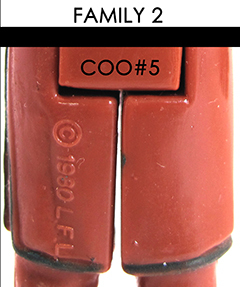 Its key identifying point is that it has a 1 Line COO stamp, Straight. 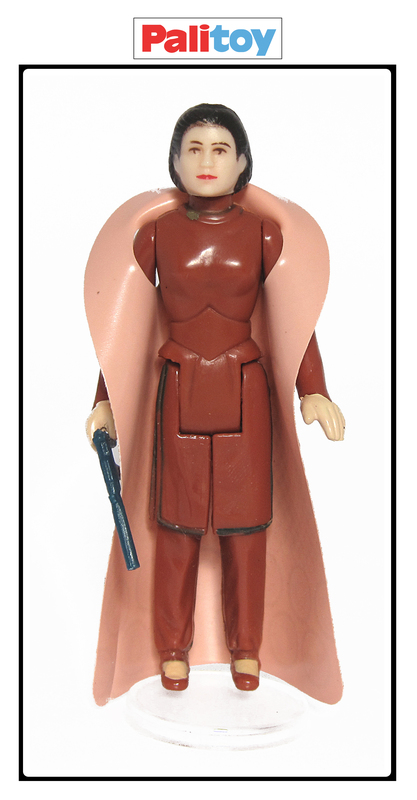 This figure is somewhat hard to track down. Her face is the palest of all the normal variations from the factories. This version has been called "Geisha" (not to be confused with the Geisha Leia I refer to here), "Ghost Face" or even "Meccano". Calling this figure a Meccano figure is incorrect. This figure appears in a Palitoy 70C Tri-Logo card. It may also exist in a French Tri-Logo card, but I have yet to see one. Hence this version should most accuarately be called a Palitoy version. If you can get a good look at the eyes of the figure, her eyes are very unique to this variant. If you look closely, her eyes quarter moon pattern are facing different directions where all the other variants that have a quarter moon shape face the same direction. See the image below. 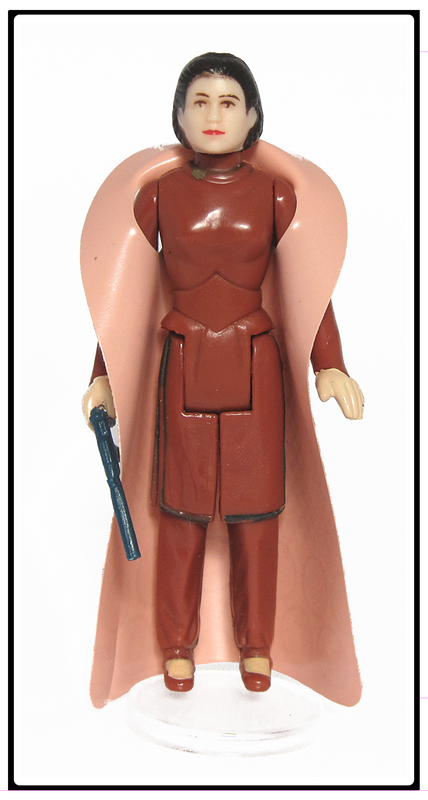 This figure is definitely harder to track down than others.